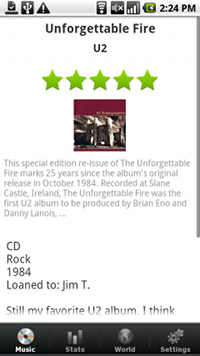 Manage your music catalog along with personal ratings and notes, which you can share with others or keep private. 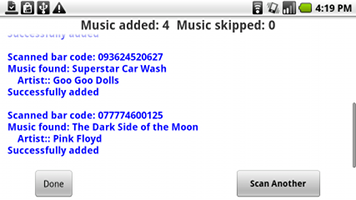 Scan the case bar code to simplify data entry or search the online database for music you own. 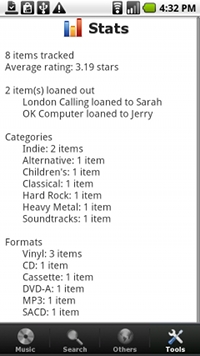 Have your music collection info on your phone at all times to avoid buying duplicates or to check if you've loaned a CD to someone. 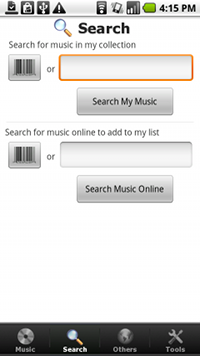 • Use the Bulk Bar Code Scan option to enter your music by quickly scanning the barcode on the cover with your phone's camera. • Take a picture with your phone to go along with your music rating and note. 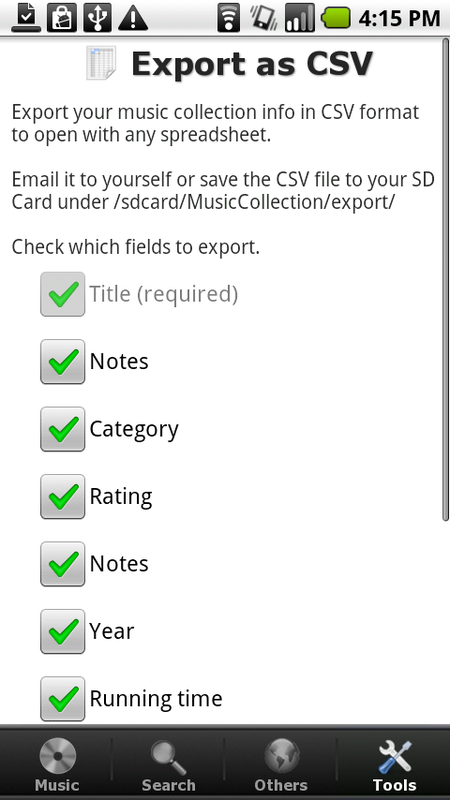 • Export your music collection info in CSV format and save it to your phone's SD Card or email it to yourself. 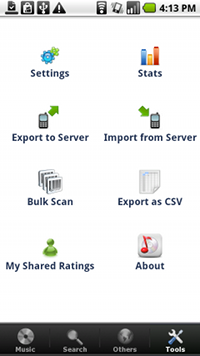 • Backup your music collection info to the server. If you lose your phone or upgrade to a new phone, just import your collection to the new phone so you don't have to re-enter everything. 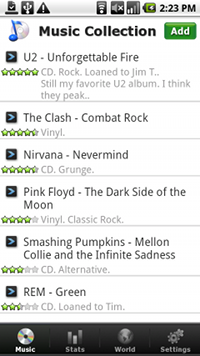 • Track statistics about your music collection like average rating or number of titles tracked by genre.